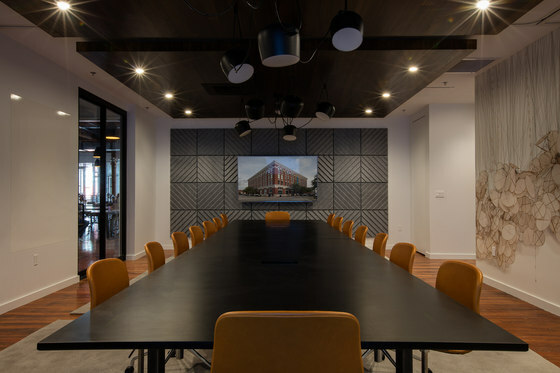 The Shop is a comprehensive co-working development that is located on the third and forth floors of the Contemporary Arts Center (CAC) in downtown New Orleans, one of New Orleans’ most important cultural institutions. 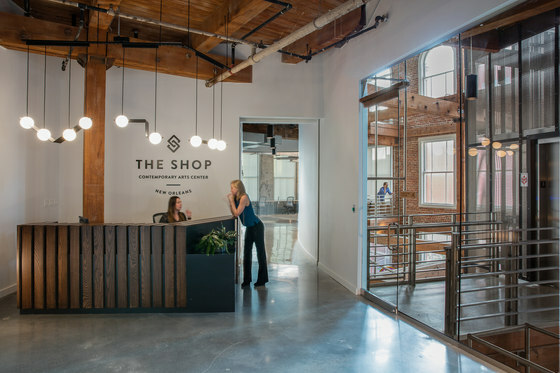 Targeting technology, arts, and cultural-based businesses, The Shop serves as a hub of entrepreneurship in the developing Downtown innovation corridor. 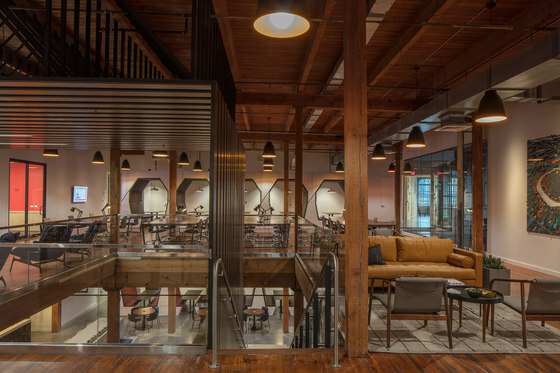 Located in a historic 1920 former warehouse, the building was used as the headquarters for K&B, a local drugstore and soda fountain until the CAC acquired the building in the mid-1970s. 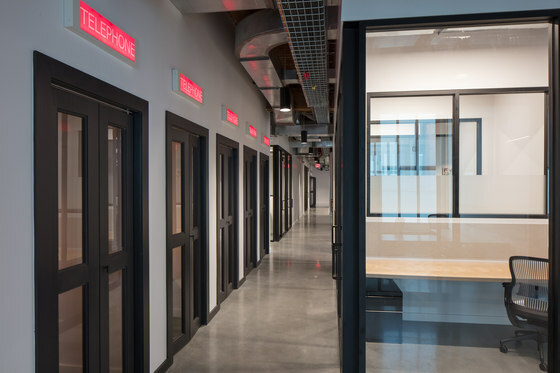 The top two floors of the CAC have historically been underutilized, with The Shop marking the first large-scale renovation of that space in the last forty years. 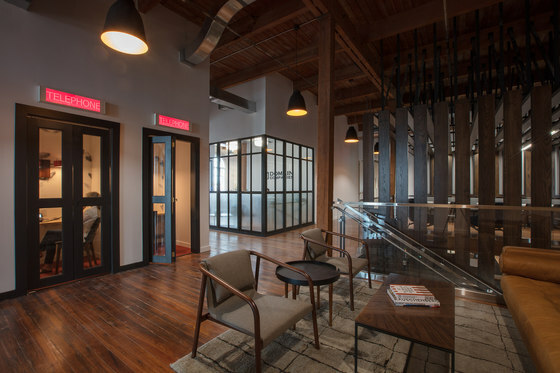 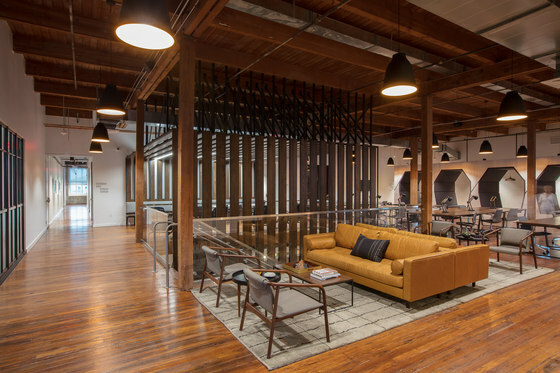 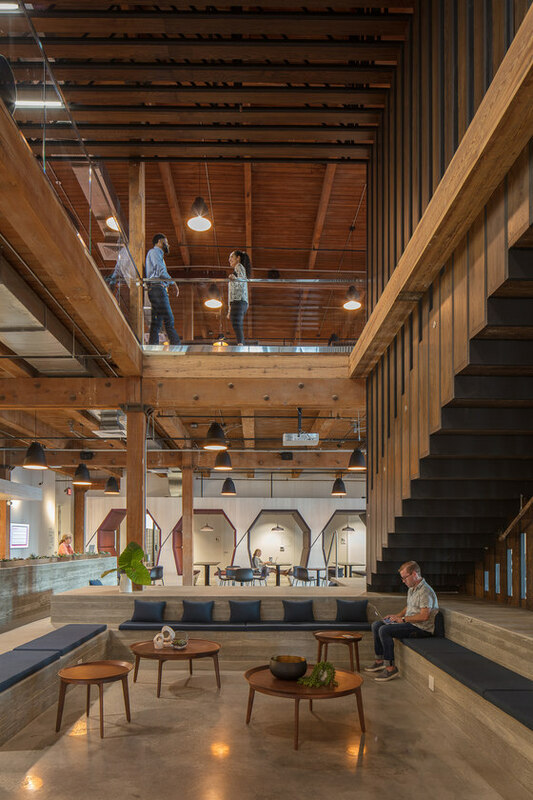 The Shop features over 40,000-square-feet of co-working space for a diverse group of creative professionals across a wide range of industries. 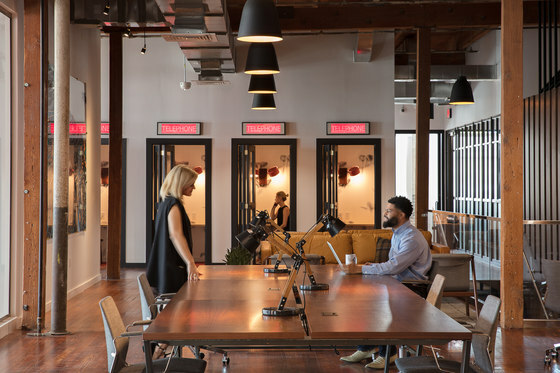 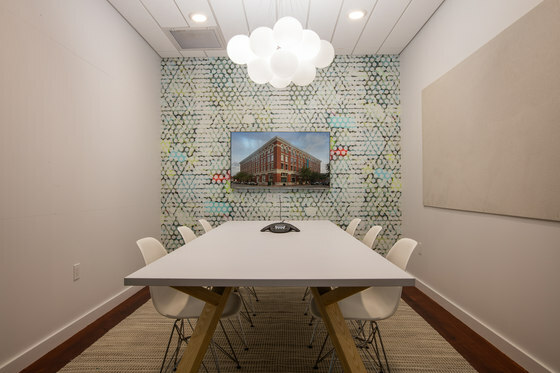 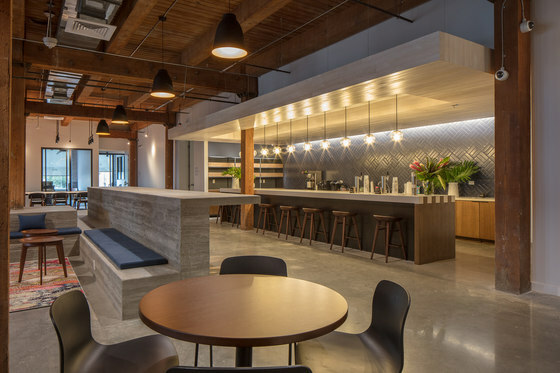 The workspace includes 69 fully-furnished offices, seven conference rooms equipped with the latest technology, and 15,000-square-feet of art-filled Commons amenity space, spanning two floors and a roof deck. 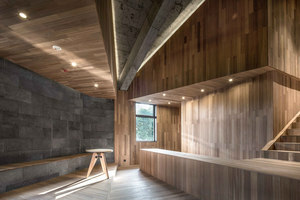 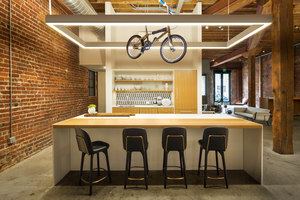 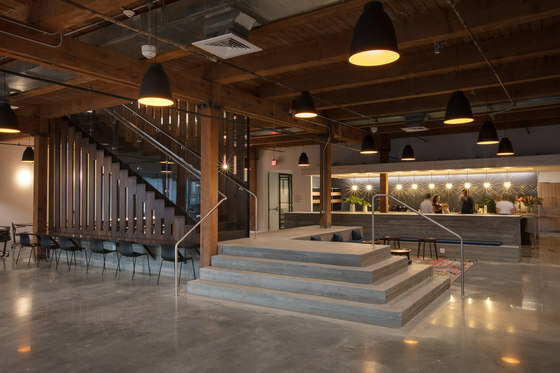 The Shop is connected by an open architectural staircase and featuring an extensive amenity and commons area, varied meeting and office space, and a roof deck. 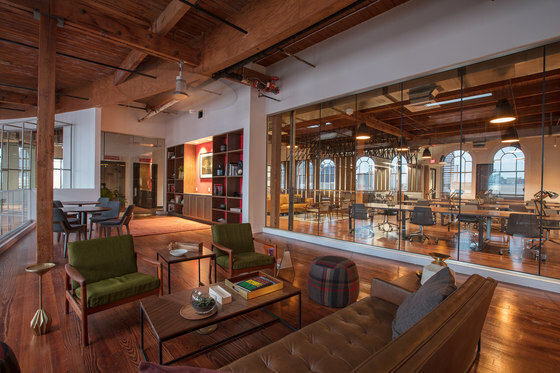 This renovation preserves the classic Warehouse District architecture of the existing building while incorporating modern elements. 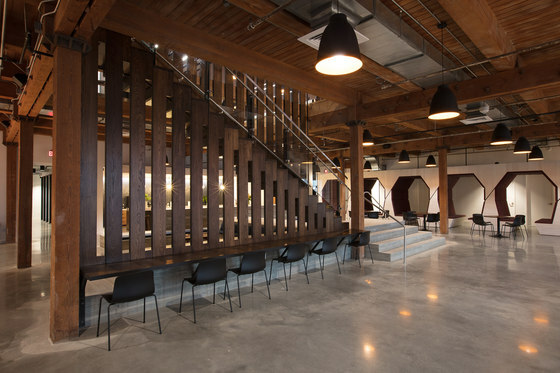 The light-filled space features high ceilings with exposed beams, large windows, a contemporary art collection, and a flowing, open floor plan. 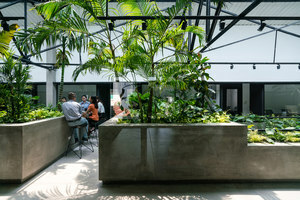 The heart of The Shop is the commons area which is designed to facilitate conversation and connection. 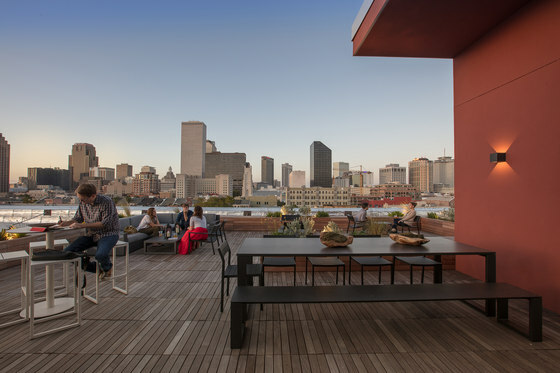 It boasts a full kitchen, seating options, coffee station, snacks available for purchase, and communal and recreational space. 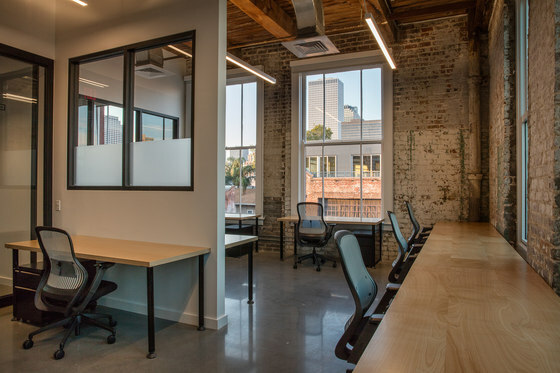 All of The Shop’s amenities offer small businesses, entrepreneurs, and arts-based professionals the resources they need to grow. 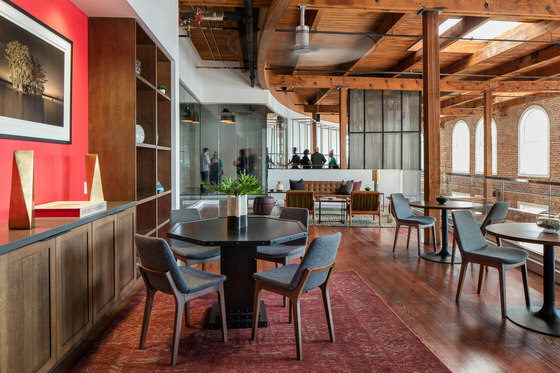 Vintage furniture was sourced from a variety of vendors to give the seating areas of both floors more of a living room feel. 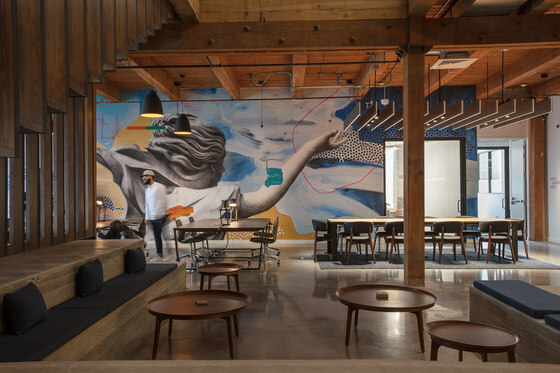 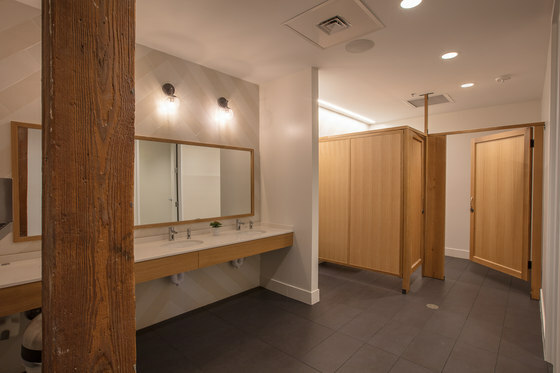 Drawing from the inspiration of the CAC itself and connecting the co-working tenants with the art community, custom murals were commissioned for the space and local and national art work was brought in to adorn the walls. 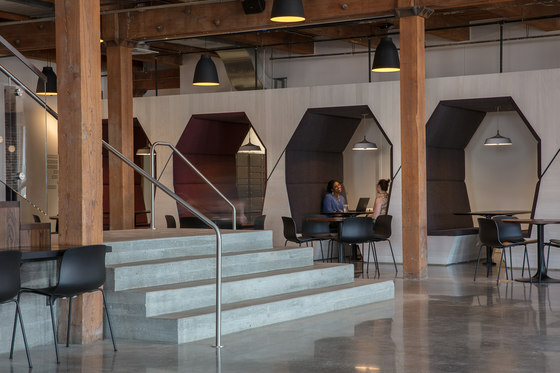 Phone booths were incorporated to create venues for private conversations and quiet work space, some have countertops while others have lounge seats. 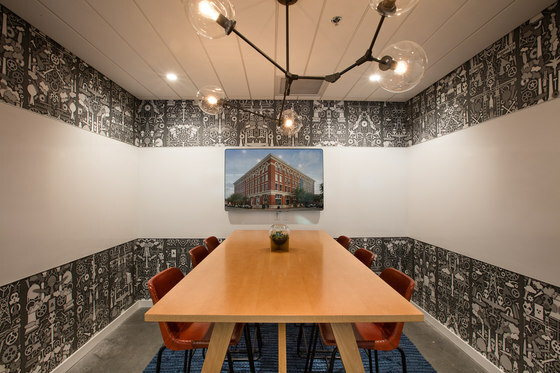 Decorative sconces and graphic wallpaper create a welcoming, intimate atmosphere. 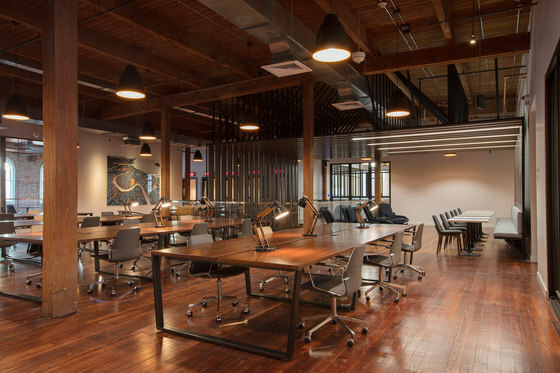 Hot desks at open tables with task lamps are intended for daily users of the space. 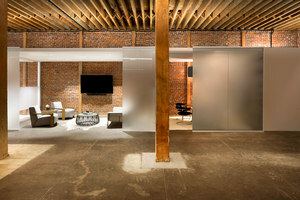 The project incorporates multiple sizes of private offices. 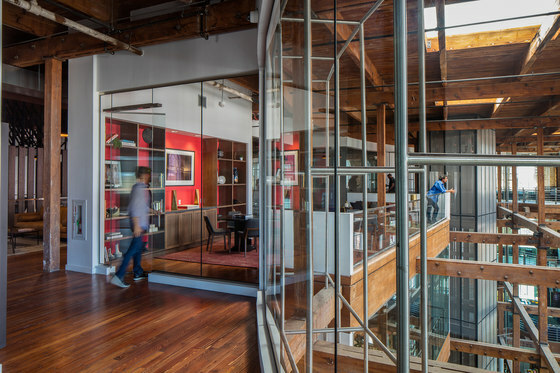 Windows between offices enables daylight to flow throughout the space and provides a more open plan feel while maintaining privacy and security. 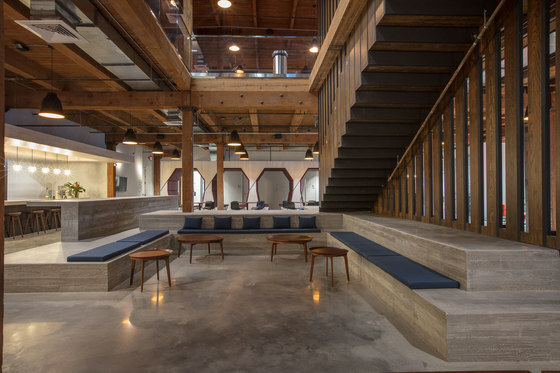 Existing brick was left exposed to enhance the industrial patina of the project. 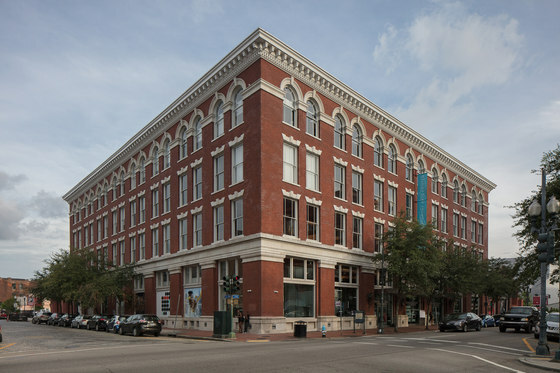 Windows along the south and west facades were replaced; those on the north and east facades were left in place. 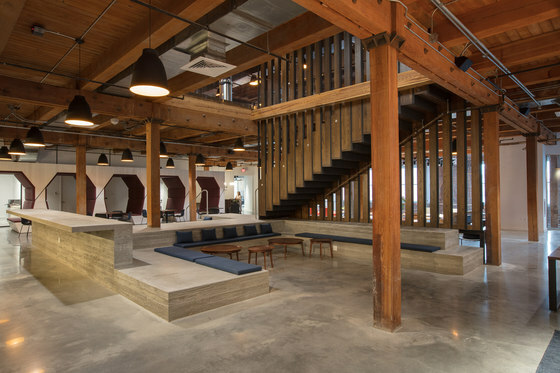 Building mechanics, ductwork, and electrical conduits were left exposed to celebrate the existing structure. 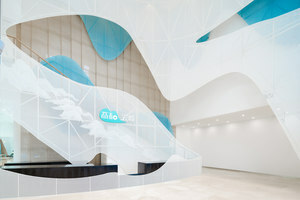 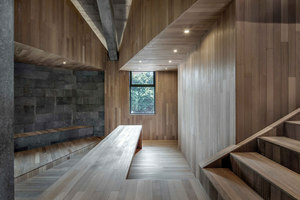 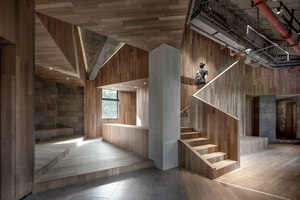 The connecting stair’s concept emerged from the idea of merging art and handmade elements. 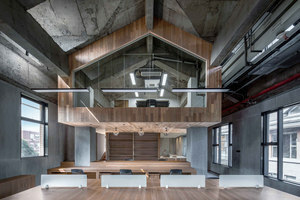 At the base is a board-formed concrete platform, used as an informal work space or stage. 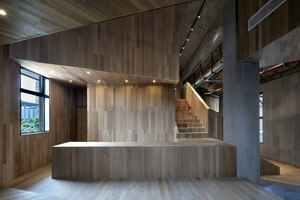 The stairs flow seamlessly from a work surface on the 3rd floor, to the stair itself, to a screen connected to a 4th floor ceiling, flowing into a banquette seat. 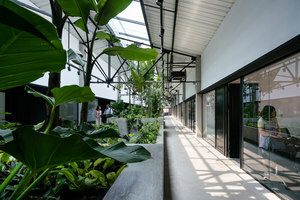 The progressive aspect of the co-working environment is also reflected in the project’s approach to sustainable design. 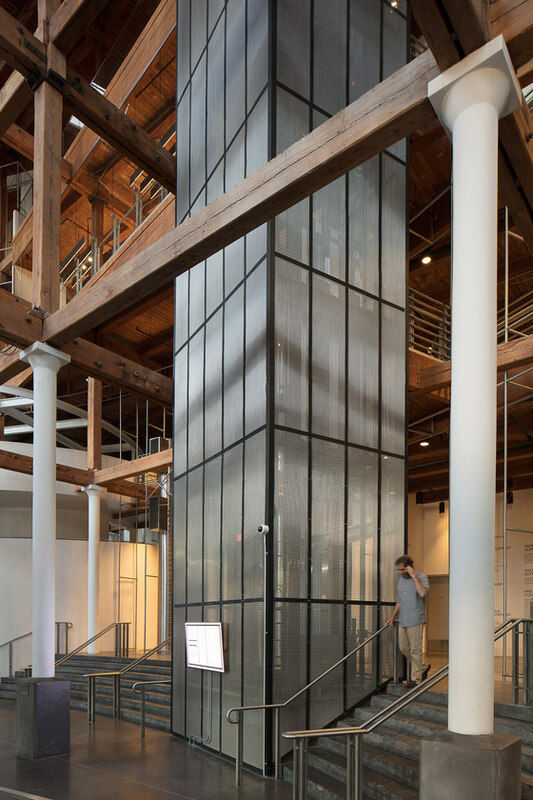 Single pane windows on the South and West facades of the Contemporary Arts Center building were replaced with insulated Low-E glass to reduce heat gain and air infiltration. 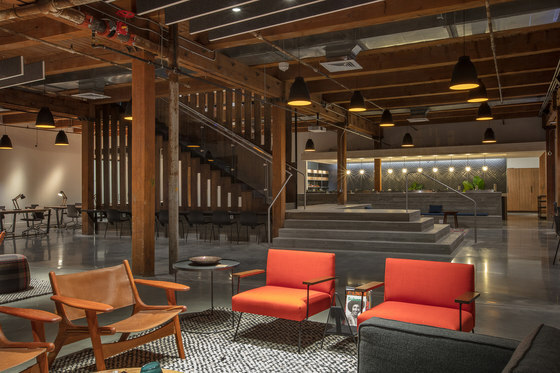 The architectural lighting is LED, which cuts energy consumption by over 80% and lasts up to 25% longer when compared to conventional light bulbs. 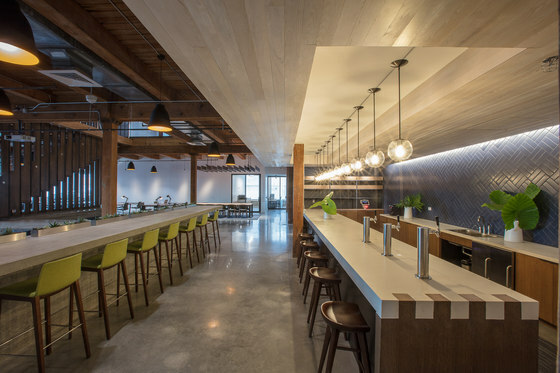 Occupancy sensors throughout the space turn lights on and off automatically. 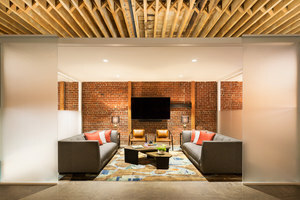 Skylights were replaced to maintain existing daylighting and insulation was added to the roof. 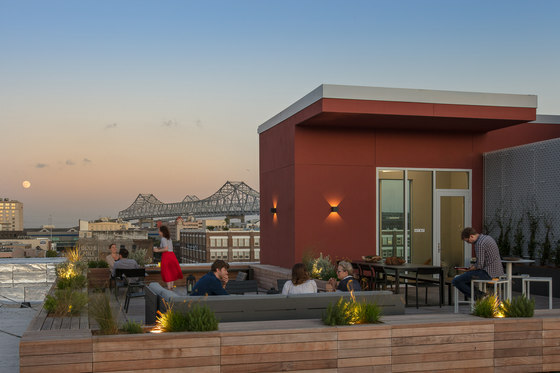 A new high-albedo roof was installed to reflect light, allowing it to stay up to 50-60 degrees cooler than conventional materials during peak heat.